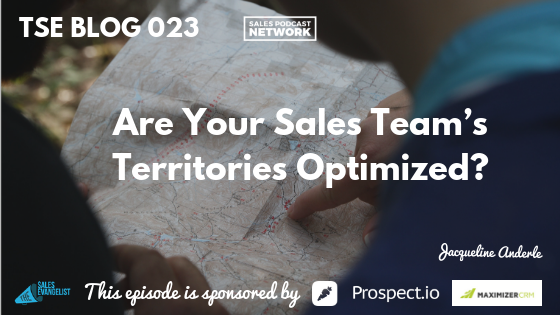 Home » TSE Podcast Post Page » TSE BLOG 023: Are Your Sales Team’s Territories Optimized? As a sales manager, you’re tasked with increasing your outside sales team’s productivity. One way to do this is by designing a sales territory plan. You can ensure your sales force is being fully utilized by assigning specific customer groups to individual reps. However, sales territory plans are not one size fit all. It is important to take manageability and balance into consideration when you establish your territories. A well-balanced plan will lead to an efficient usage of resources and time. According to the researchers Andris A. Zoltners et al., sales can be increased by 2 – 7% through sales territory optimization – without using additional resources or changing the current sales strategy. So, even if your sales team already has a sales territory plan in place, it’s a subject worth revisiting. Every sales manager should rethink present territories to ensure that work is being divided evenly and sales reps are reaching their full potentials. Territory metrics like geographic location, customer names, sales history, and competitive activities can be leveraged to increase potential earnings. Additionally, the distribution of territories across your sales team influences your reps’ abilities to meet their quotas. Thus, you can determine if your sales territories are optimized by examining your sales team’s results. Read on to see if your sales team’s results are indicative of an optimized sales territory plan. Also, if your team’s results could use some improvement, learn how to optimize your territories. Every interaction your sales reps have with customers impacts customer satisfaction and the perception of your company’s product or service. Therefore, a good sales territory increases your sales reps’ interactions and familiarity with customers. You can achieve this by focusing on your customers’ geographic locations in relation to your sales reps. A good sales territory should reduce travel time and costs, allowing your reps to spend less time on the road and more time interacting with their customers. Your plan should also ensure that customers are being followed up with by the same sales rep. If reps are selling to customers they have experience and expertise in dealing with, they can better present a relevant value proposition to them and foster strong relationships. Have a closer look at your reps strengths and abilities to make sure they are servicing the “right” set of accounts. For example, a sales rep who has a history of success with closing large and high complex accounts should be in future given more of those. In the end, increased selling time as well as creating targeted sales rep and consumer relationships will result in improved customer satisfaction rates. The result will be that customers will feel encouraged to repurchase your product or service and refer their peers to your company. According to a case study by InfoQuest, you will get 14 times more earnings from a ‘totally satisfied customer’ than a ‘somewhat dissatisfied’ one. A balanced sales territory improves market coverage and avoids the cannibalization of customer accounts between your reps. To create balance, you should focus on the quality of leads when planning your sales territories. Of course, you never plan for a territory to be poorly balanced. A sign that one of your territories is unbalanced is if customers are being under – or over – serviced in that area. This can occur when salespeople don’t spend enough time on good leads, and only focus on conveniently located, easy to talk to, or familiar leads. They might be spending the majority of their time on low-potential accounts that would be better spent on high-potential leads. Meanwhile, other reps might spend too much time on low-potential accounts because they don’t have enough good opportunities in their territory to stay busy. Again, this is wasted time that could have been utilized to close more attainable sales. By factoring in the quality of leads when designing sales territories, you can better balance the efforts of your sales force. Gaps in customer coverage will also become more noticeable and sales reps can be reassigned accordingly. In the event of market changes, rep turnover, acquisitions, mergers, product launches, etc. you will be prepared to react while maintaining customer relationships and securing optimal market coverage. Sales managers and reps are constantly striving to boost productivity. Many sales teams have to compete with the previous year’s results using existing – or even less – resources. Fortunately, optimized sales territories are a low-cost way to increase sales productivity. One way well-planned sales territories can boost the productivity of your reps is by cutting down on time spent on the road while they travel to their customers. This reduces travel costs and increases the time your salespeople can actually spend selling. A study by CSO Insights finds that sales teams often have low rates of lead conversion – with 60% of opportunities leading to “no decision.” A balanced territory structure will give your reps more time with their customers and more opportunities to learn about their clients’ pain points. This knowledge helps reps to add value to their sales conversations, meet their clients’ needs, and achieve a higher conversion rate. Additionally, a territory structure that offers optimal customer coverage will help your team to prioritize work, reduce travel time, and maximize motivation. Your sales territory plan can raise motivation among your team by facilitating a fair compensation plan that does not under – or over – reward reps for factors they cannot control – such as whether or not they have a “good” territory. Poorly balanced sales territories are likely to result in unfair compensation among your sales team. A rep with a “good” territory with high-potential accounts may benefit from higher pay without putting in extra effort while other reps with “bad” territories have to work much harder to hit their quotas. This happens because common metrics used for determining compensation tend to be determined more by geographical location – a factor that cannot be controlled by reps – than by a reps’ actual performance. Optimized territories will make performance metrics more accurate since they prevent unfair conditions. They are a good foundation for building fair compensation plans which promote motivation and job satisfaction among your reps.
Making sure each that each of your reps’ territories stays balanced is hard to manage on top of your own tasks. Luckily, mapping various applications for sales territory management provide reports on your sales team’s weekly performance. For example, Badger Maps is a mapping application that allows your reps to create check-ins and appointment notes in the field, following each customer visit. All check-ins and notes are logged and compiled in a weekly report that allows you to track your reps’ job performance. Check-in reports record customer details, meeting notes, and the time since your reps last visited their accounts. 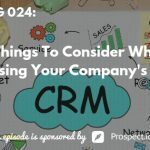 You utilize this data to give your reps advice on how they can increase productivity. 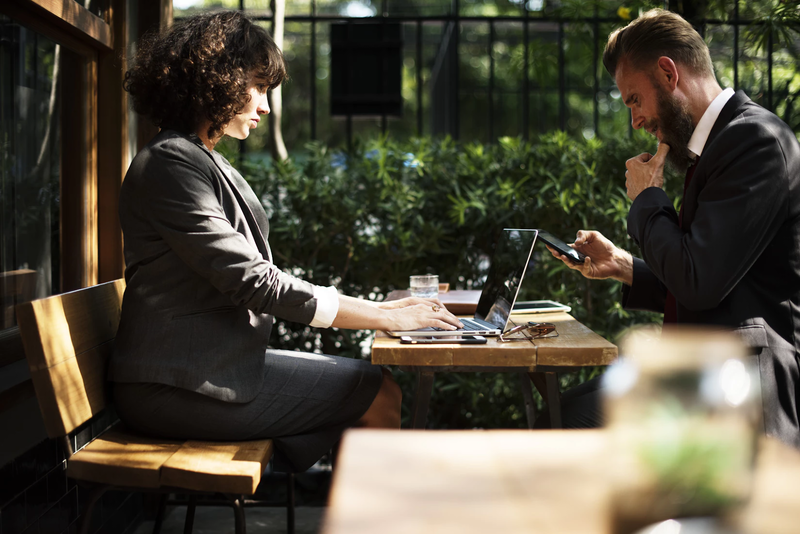 With the right balance of workload and sales potential, your sales reps can be more efficient with their time, address opportunities in their territories, and focus on their most valuable clients. Ultimately, optimizing your sales territories results in more sales, happier customers, and more fulfilled sales reps.
About the Author: Jacqueline Anderle is a Marketing Analyst at Badger Maps, a route planner and territory management solution that helps field salespeople be more successful. You can read more from her on the Badger blog and follow the team on Facebook and Twitter @BadgerMaps.